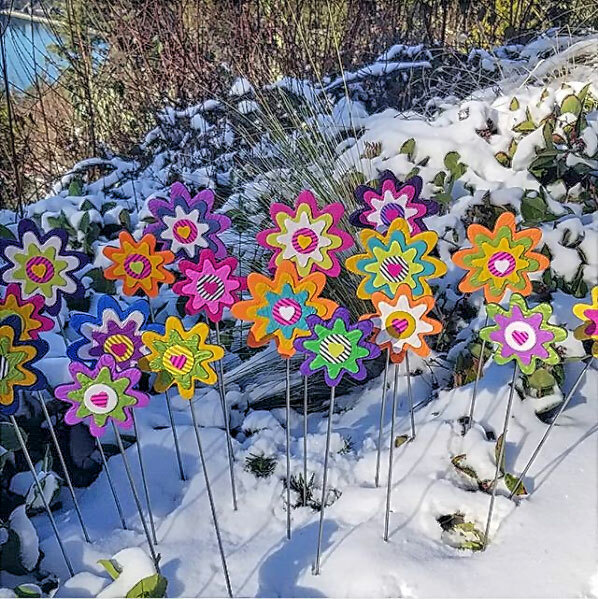 Washington’s Jen and Kristi (GoInsideAndClay) couldn’t wait to leap into spring so they gave themselves a headstart with this polymer garden. They are inspired by their time playing in nature among the trees and mountains and by the beauty of kindness. They call themselves “trail fairies” because they like to leave little pieces of art out in the world as a way to bring smiles and joy to others. You smiled, right? It works.